It is difficult to keep a song’s composure when there are no definitive limitations or boundaries. By preparing the key elements of the drone before composing, you avoid this difficulty. And, you define the structure. Doing so will push you closer to the mixing stage, which is critical. Drones are all about the mix of tones and how they interact at different levels. It is best to think on a modular level when making the sound. 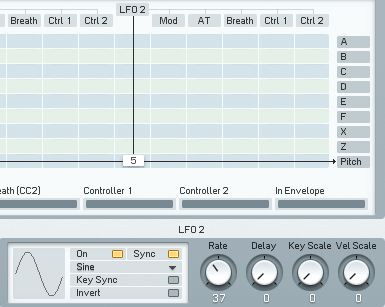 Create 3 or 4 instances of any VST synth that features a clean sine wave and start with just that. 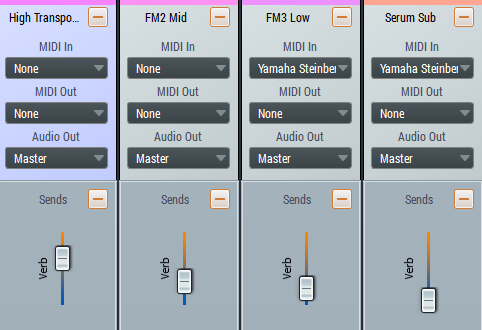 FM8 and Serum are great choices. Therefore. I chose to make 3 sine wave operators in FM on different octaves and 1 sub-oscillator in Serum. Detune a couple of them (not the sub) to induce beating. In addition, we will need a long, fat attack and release on these synths. Try something like 5 or 6 seconds. Bring the sustain to full. 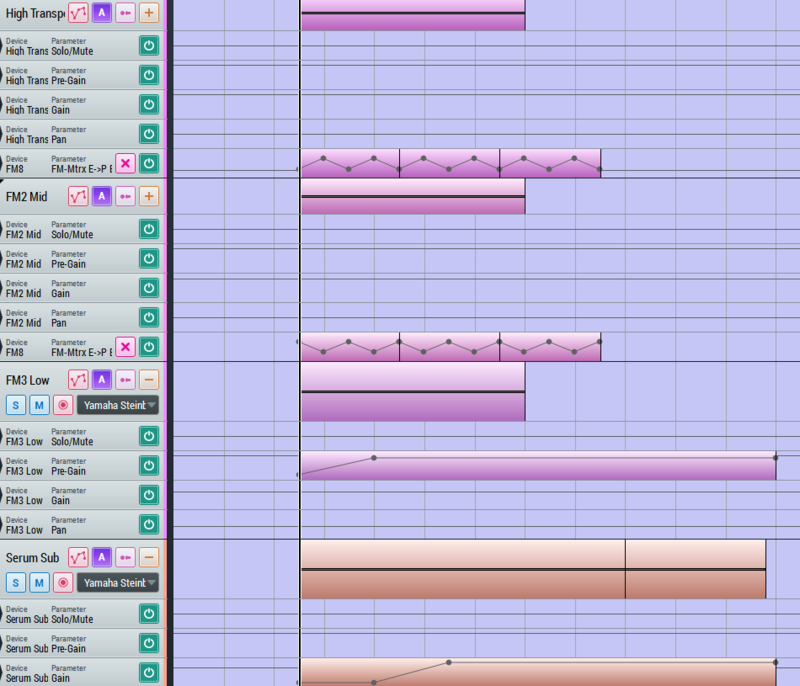 Draw a long note in the sequencer and duplicate the block to each track. As boring and cheap as this seems on the surface, it is best. The note in the sequencer is simply acting as a trigger, telling the synth to “go”. What is more, drone music is static and cohesive enough to make all transpositions and pitch changes from the synths themselves. This avoids confusion and the visual inconsistency that occurs when a transposed synth is sequenced. Most importantly, it sounds better. As mentioned above, we will make all pitch deviation and transpositions within the synths themselves rather than in the sequencer. This is the nature of drone pieces. Unlike most music, they are not supposed to sound like a mix of individual elements – more like one sound, from many different perspectives, in space. Try transposing 1 of the oscillators in your set-up. Hold off on any dissonant intervals, we will add those later. I decided to change my highest pitched oscillator to the fifth of the scale which is 5 semitones down (See Blog: Scales, Intervals). 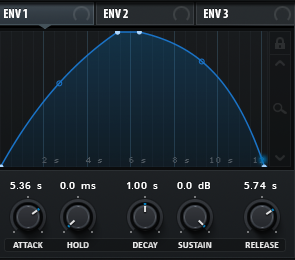 Consider turning this oscillator down a little in the mix – it should not throw off the tonal center. 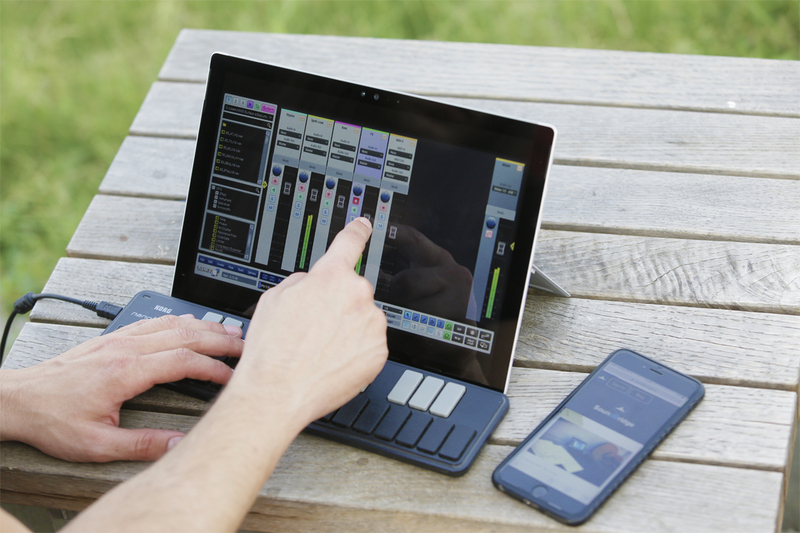 You may want to rename this synth something like “transposed”. This next step is important. You must add some subtle harmonic content very low in the mix. 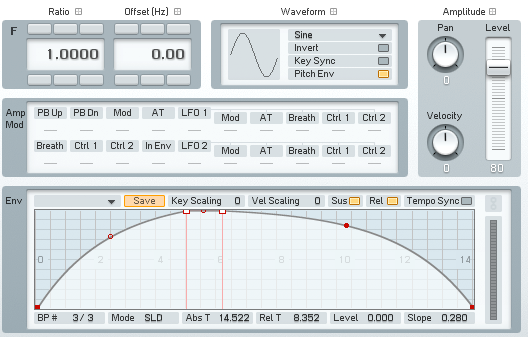 Add another sine wave to at least 2 of the VST instances and tune it to a diatonic scale degree. Major Seconds (2 semitones up), and sevenths work well. I like a darker sounding drone, so I used the minor seventh (2 semitones down). Keep all volume envelopes linked and pan the voices out a little. I mentioned that drone music is very static by nature, but these synths are nauseous. We need to use a little bit of SLOW amplitude, pitch, phase, and pan modulation. It does not matter what synth you’re using, as long as the LFO rates are synced to something slow, the contour is smooth, and the depths are shallow. Be sure to add some sort of subtle modulation on each synth. I would recommend pitch or phase modulation on the higher frequency sines and amplitude modulation for the sub. Experiment with the settings but don’t make anything stand out. It should still sound like one “object”. This is what my modulated drone sounds like…. This part is completely up to you. If you think the sound itself could use some spice or more movement, try inserting an effects unit. You could put effects on individual sounds, but I would recommend group processing. Again, it helps preserve the consistency. For my example, I chose to use our bit crusher on two synths grouped together. The bit crushing creates some cool digital background noise that provides and eerie contrast to what was basically an analog emulation. I also made one synth move a bit more with a phaser. Since these are just sine waves we are using, they interact with each other more noticeably. To our advantage, this means level changes have a big effect on the listener. 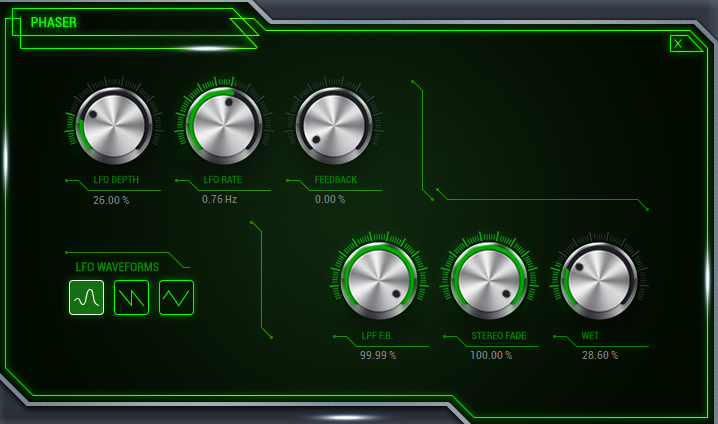 Try automating the levels and pan position of each individual oscillator. I like to introduce the tensions first, then sweep in the tonal center, followed by the sub. Furthermore, drop a reverb of your choice on a return track, fully wet, and send some of each track to it. Use a big reverb tail. Eliminate any pre-delay or early reflections. This is because we want the drone to sound like it is outside in space. 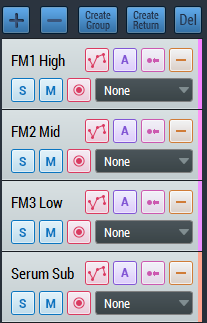 Adjust the send levels on each track to your liking and consider automating the level of the reverb return. 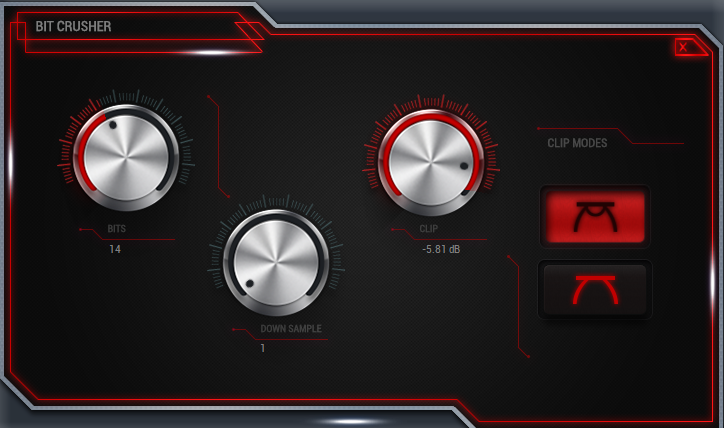 I would recommend a gentle mastering suite with no compression – maybe just some EQ, excitation, and imaging. Dynamics are key in this piece. Here is my complete drone with some added harmonics, FM side-bands, and mastering.